The Seascape Golf, Beach and Tennis Resort will surpass your expectations with 18 lush contoured fairways and immaculate greens winding through the Resort's lush forests and around its tranquil lakes. 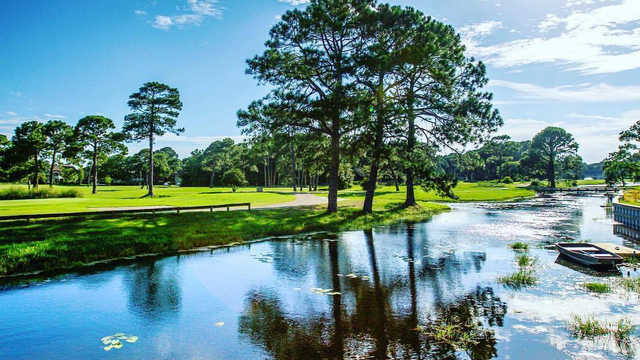 The course is situated among a series of fresh water and coastal dune lakes and features breathtaking views of the Gulf of Mexico from many holes. 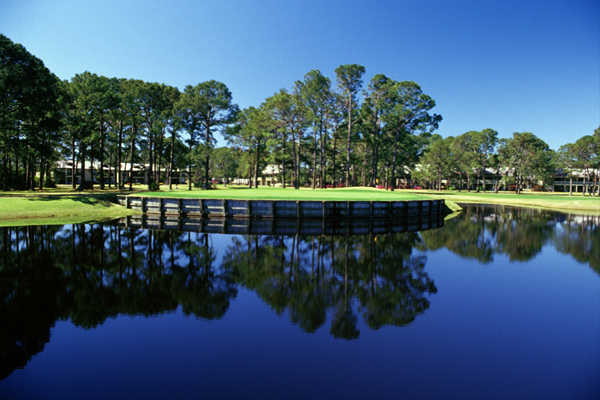 Fifteen of the eighteen holes have water features. 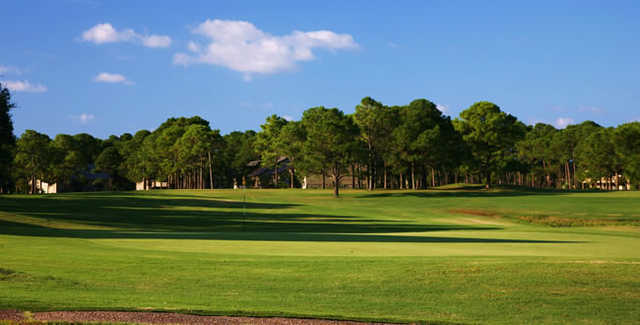 Designed by famed course architect Joe Lee, Seascape's par 71, 6,100-yard championship Destin golf course poses a unique challenge to players of every skill level as its green placement and hazards require singular precision to maneuver the course. The sheer beauty of the terrain, with its tall pines, shimmering waters and softly rolling hills has been known to distract even the most ardent golfers. 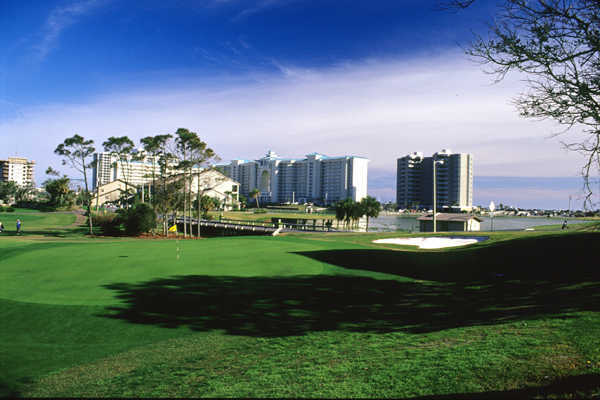 If time is an issue, Seascape offers the option of playing nine holes in the afternoon. Seascape offers a grass driving range, two practice greens, restaurant and full-stocked Pro Shop featuring top-of-the-line accessories, Seascape signature apparel and souvenirs. The Pro Shop is a full-service facility offering professional golf lessons, spike changing, club cleaning, tournament services, rental clubs and club storage. Seascape's golf professionals have been voted among the best in the region, and are always ready to provide individual or group lessons.